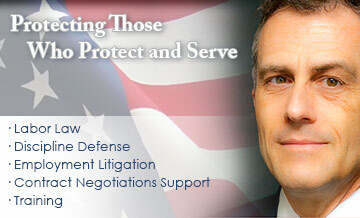 The Law Offices of Christopher W. Miller serves employees and labor unions in the greater Sacramento area, with an emphasis on public safety labor associations and general counsel services. We offer experienced representation and thoughtful counsel to our clients on labor issues, contract negotiations, employment matters, discipline defense and employee training. The Law Offices of Christopher W. Miller is focused on the individual client's needs and best interests rather than on the impersonal bureaucracy common to larger law firms. Your matters will be handled by an experienced, knowledgeable attorney with an emphasis on personal, innovative, and efficient delivery of legal services. Whether the issue is the Public Safety Officers Procedural Bill of Rights Act, a contract grievance, critical incident training, workplace discrimination or discipline defense, we have the knowledge, skills and experience to handle your needs. At the Law Offices of Christopher W. Miller, we understand successful attorney-client relationships are founded on trust as well as results. Your satisfaction with our representation is our only goal. We know you have many choices when searching for the "right lawyer" for your matter, your organization, or your training, and we welcome the opportunity to serve your needs.